ProArgi-9 Plus Uniquely Designed for Cardiovascular Health! I want to introduce you to a product that is having a major impact on blood pressure and other cardiovascular health issues. 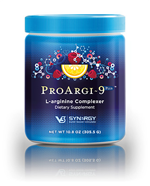 It is ProArgi-9 Plus from Synergy WorldWide! Maybe you or a loved one has high blood pressure. That doesn’t surprise me. According to the American Heart Association one out of every three Americans suffers from high blood pressure. The National Stroke Association identifies high blood pressure as the leading cause of all strokes. ProArgi-9 Plus has product features and benefits that can address some major health concerns! The purpose of this article is to clearly identify what those health concerns are and how ProArgi-9 Plus can be a helpful pathway to better wellness. There’s a reason why this product is so effective in helping people with high blood pressure and other cardiovascular challenges. However, before I give you the reasons why let me first share with you the benefits of ProArgi-9 Plus; especially its ability to effectively deliver a pharmaceutical grade level of L-arginine so that your body can properly produce nitric oxide which is your cardiovascular system’s master signaling molecule. For those who are like me and want to know why this product is so effective, then this next section is for you. We need to talk about one critical molecule which is nitric oxide and one essential amino acid which is L-arginine. The number one risk factor for stroke is high blood pressure, and 1 out of every 3 Americans suffers from high blood pressure. As the capillaries lose their ability to relax, it makes it harder for blood to flow. This increased resistance causes the heart to beat harder. This raises both the systolic and diastolic blood pressure. By providing an improved level of nitric oxide to the capillary system, you provide the signaling molecule necessary to help restore blood vessel tone and flexibility. This has a positive effect on helping to lower blood pressure. Example #2 – Erectile Dysfunction! 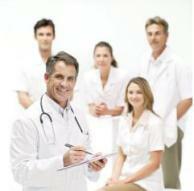 Erectile dysfunction affects 50% of the male population over age 40. We’ve already looked at the natural relationship between L-arginine and nitric oxide. Most nitric oxide researchers believe that nitric oxide “can correct up to 90% of all erectile dysfunction.” Additionally, L-arginine can enhance testosterone availability, increase blood flow to the genital area in men and women, increase sperm count and motility, increase sexual desire, and heighten sensitivity in both males and females. Properly taken L-arginine is a natural alternative for Viagra! Example #3 – Endothelial Cells! The endothelial cells form the lining of blood vessels. 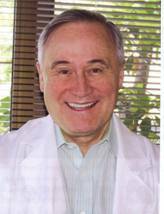 It has been clearly shown that these endothelial cells produce nitric oxide from L-arginine. However, when the endothelial cells are damaged by high blood pressure, high sugar levels, cholesterol and other lipid deposits, this decreases nitric oxide production with contributes to a whole host of health and wellness issues. Citrulline – The amino acid citrulline is metabolized to yield more L-arginine, which in turn provides additional nitric oxide. Additionally, citrulline helps to optimize blood flow throughout the body and promote healthy energy levels. Folic Acid, Vitamins B3 and B12 – These ingredients work together to naturally decrease homocysteine levels. Folic acid is also important for the production of red blood cells which are critically important for those suffering with anemia. Click here to email Dan which has “ProArgi9-Plus” in the subject line.